Stephen Joseph, PhD, is Professor of Psychology, Health and Social Care at The University of Nottingham, where he is codirector of the Centre for Trauma, Resilience and Growth and an Honorary Consultant Psychologist in Psychotherapy at Nottinghamshire Healthcare NHS Trust. 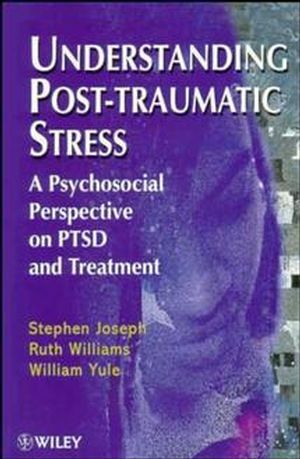 Ruth Williams is the author of Understanding Post-Traumatic Stress: A Psychosocial Perspective on PTSD and Treatment, published by Wiley. William Yule is the author of Understanding Post-Traumatic Stress: A Psychosocial Perspective on PTSD and Treatment, published by Wiley. Normal and Abnormal Reactions to Trauma. Types of Trauma: From Natural Disaster to Political Violence. Evidence for an Integrative Model of Adjustment.